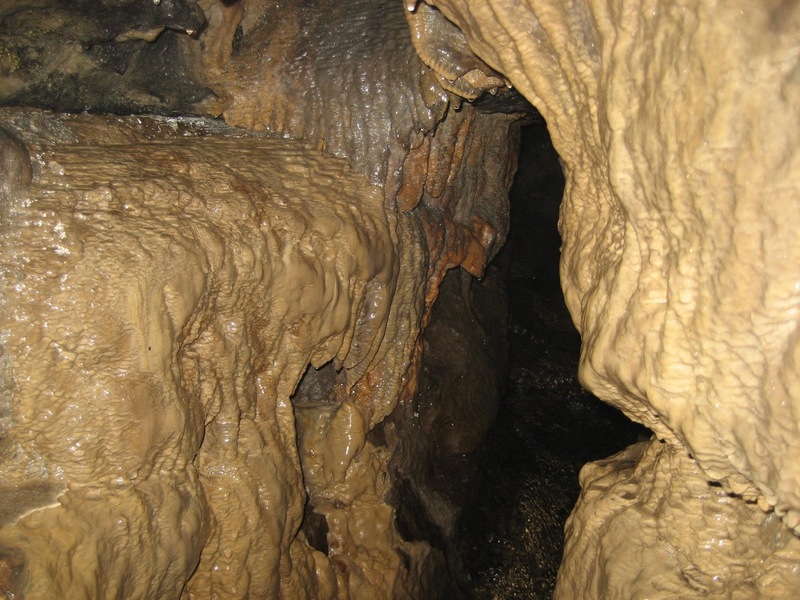 Though situated on the lower slopes of Whernside, this fascinating little cave (SD738789) is linked to the main drainage through Chapel-le-Dale: resurging and sinking again before joining water in either Gatekirk Cave or Haws Gill. 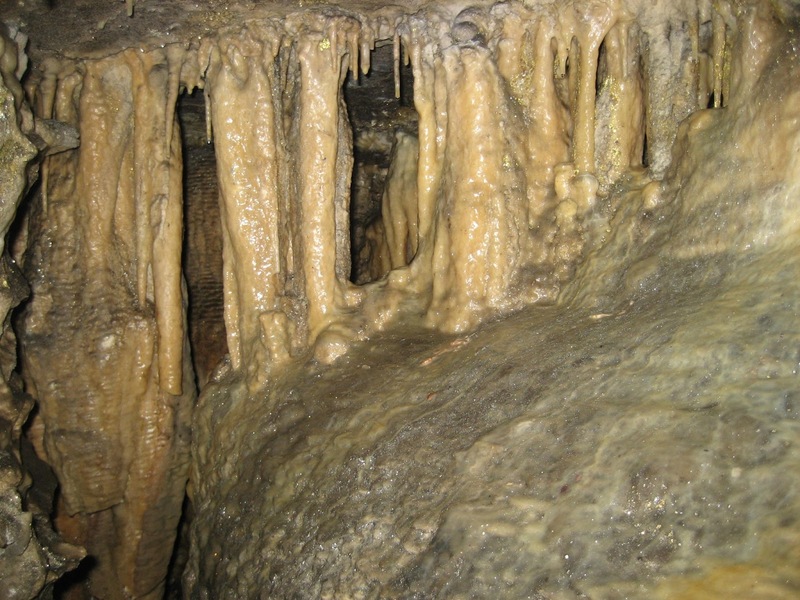 The actual destination of the water leaving the cave has only been suspected – not proved. 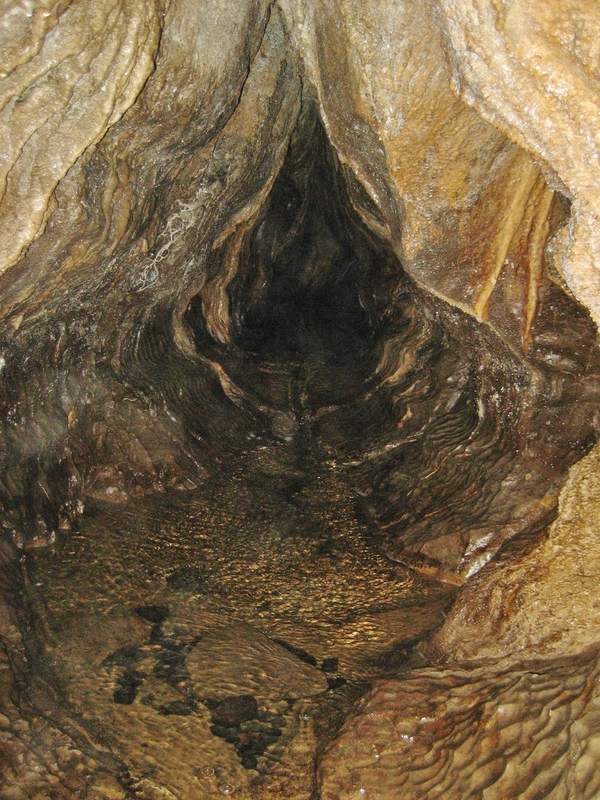 The cave originates where water runs off the Yoredale slopes onto Great Scar Limestone at Hodge Hole Barn, though it is not possible to enter the tight fissures. 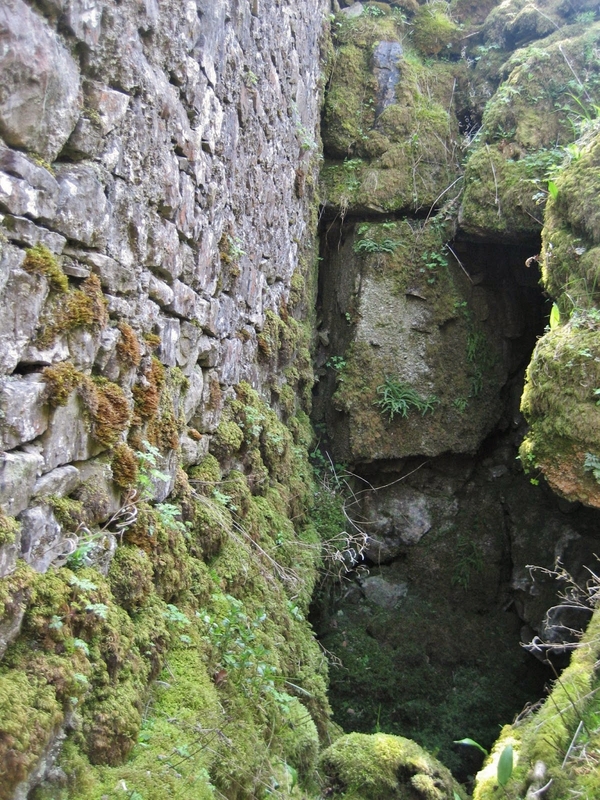 The present day entrance was opened by a Mr Kidd of Blue Hall in 1865; the legend being that the tenant had long been suspicious of rumblings under Bruntscar Farm, leading to an enthusiastic hacking away at the limestone cliff just behind the old barn. These days, the barn has mostly collapsed, but there is still something very Enid Blytonish about turning up at the farm and giving a donation to the church collecting box, before being granted permission to enter. 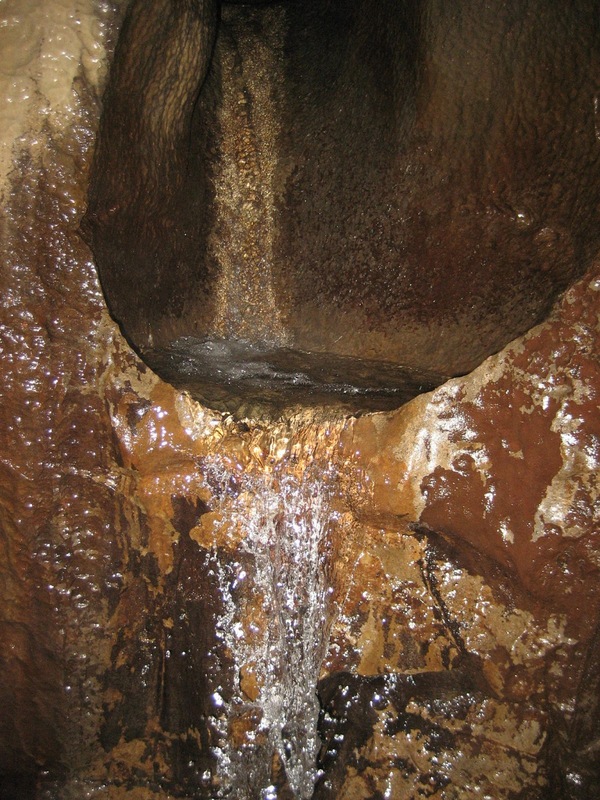 Inside, the stream is soon met sinking under the right hand wall, and then it can be followed in a beautiful tapered passage until a chamber is met with two fine cascades. 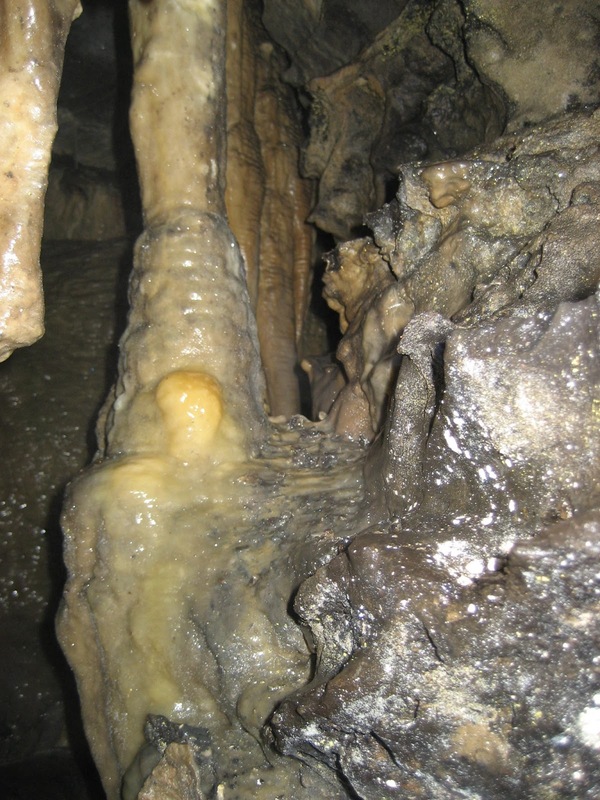 These are easily climbed into a superb vadose canyon with flowstone and abundant small pillars, while many gour pools in side chambers add a real sense of beauty. 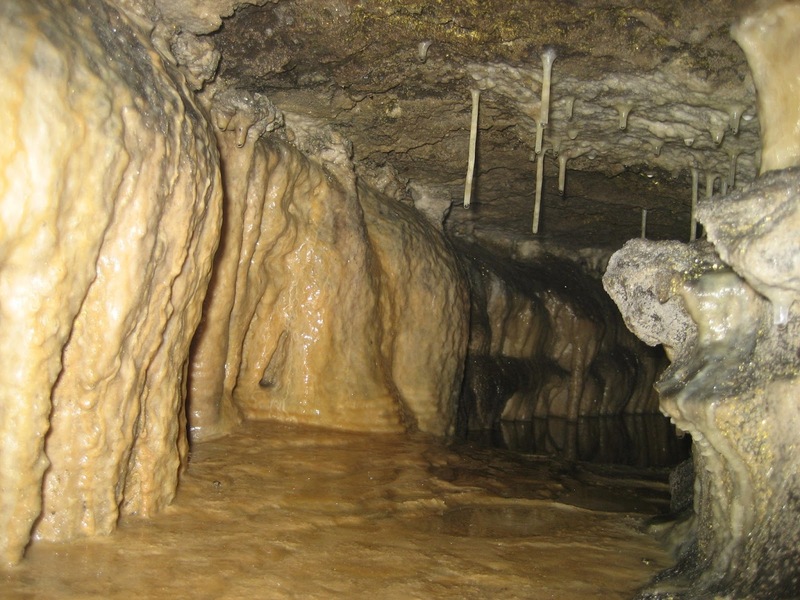 Eventually the passage becomes lower and an assault course around and beneath stalagmites emerges in a small chamber and boulders close to the sink out on the lower slopes of Whernside. 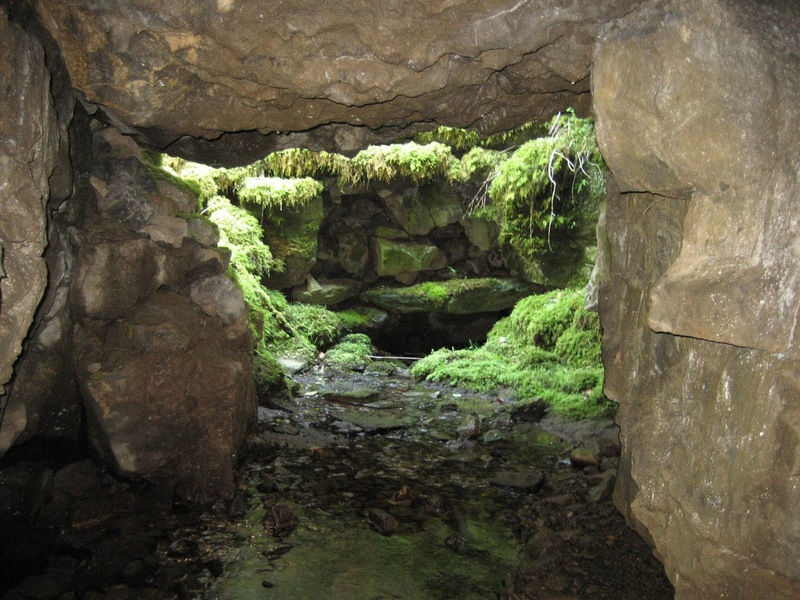 Bruntscar was once a show cave, but its remote location and flood-prone passages meant it was more challenging than most. Today it is open to intrepid visitors who are well equipped and prepared for a soaking – though the weather must be settled as the stream responds rapidly to sudden downpours.